Bendeela is a popular camping and recreation area, about 150 kilometres south of Sydney. With its wide-open spaces and lush setting on the banks of the Kangaroo River, it's the perfect spot to relax and get back to nature. 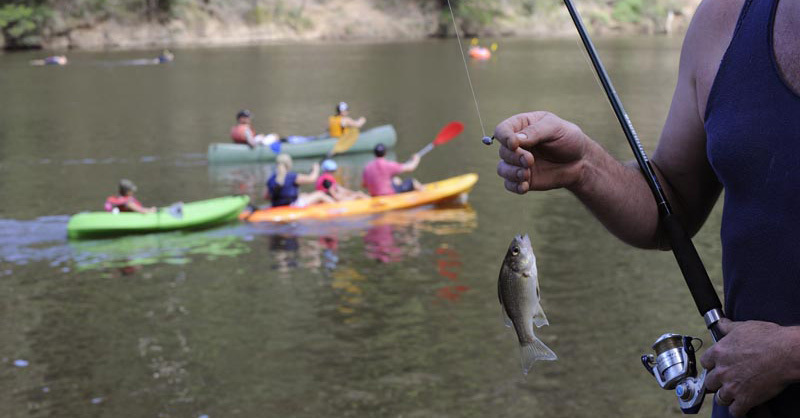 Popular activities include swimming, canoeing, fishing and wildlife spotting. As visitors of Bendeela, we need to take special care of Bare-nosed wombats. Before visiting Bendeela, please read our Visitor Code of Conduct. It includes important safety messages to ensure an enjoyable visit. Note: This picnic area may be closed during times of flooding or access to Lake Yarrunga is restricted when Tallowa Dam is spilling. Open 24 hours a day, all year round (front camping ground). 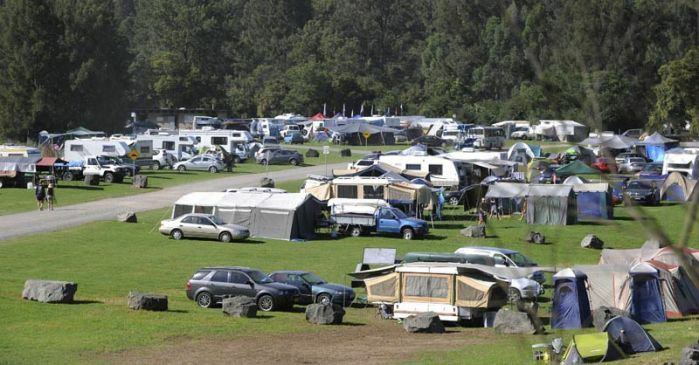 Rear camping ground is only open to vehicles during busy holiday periods. For more information, see the opening and closing times. Entry and camping is free. Bendeela Recreation Area is about 150 kilometres drive from Sydney. From Sydney, follow the Hume Highway (F5) south towards Goulburn and take the Mittagong to Bowral turn-off. Take the Nowra Road towards Kangaroo Valley. 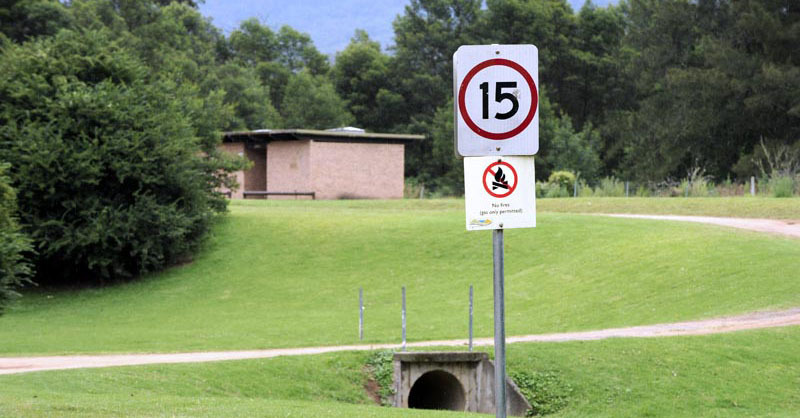 As you approach Kangaroo Valley, just before Hampden Bridge turn right onto Bendeela Road and travel about seven kilometres to the camping grounds. 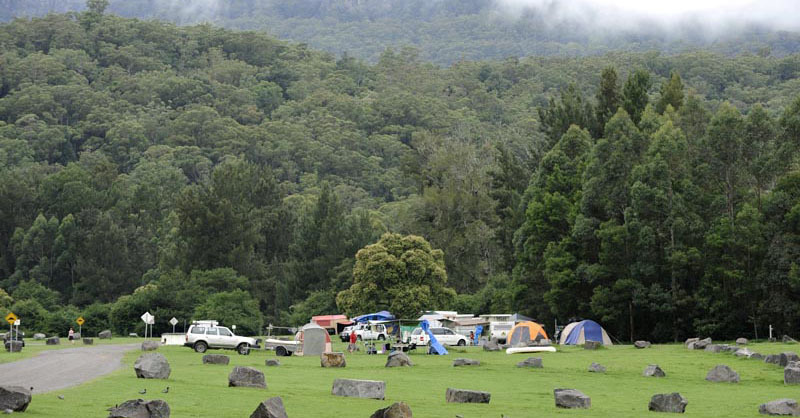 With its wide-open spaces, lush grass, huge trees along the riverbank and a backdrop of rugged hills and forest, Bendeela is a popular spot for camping. After you pitch your tent or unhook your caravan, hit the water for a swim, or head out canoeing or fishing. At night, look up as the stars put on a brilliant show! The rear camping ground is only open to vehicles during busy holiday periods. For more information, see opening and closing times. This wide section of the Kangaroo River is part of the upper reaches of Lake Yarrunga, formed by nearby Tallowa Dam. It's perfect for swimming and canoeing. There are two canoe launching areas along the river banks. Head downstream towards Tallowa Dam, or upstream towards Kangaroo Valley and beyond. The river is also a popular spot for fishing. Or you can try your luck at Fitzroy Falls Reservoir fishing area. 3. Look out for wombats! Wombats are plentiful in the area, and often wander through the camping grounds. Known as the 'bulldozer of the night', wombats eat grass, roots, bark and fungus. When searching for food, they usually take a direct route - so be sure to secure your campsite belongings. Please do not feed, chase or touch the wombats - but a photograph is fine! As visitors of Bendeela, we need to take care of Bare-nosed wombats. Throw down a rug and enjoy a picnic with family and friends in the scenic grounds. The river bank in the rear camping ground is for day use only (no camping), so there is plenty of space. 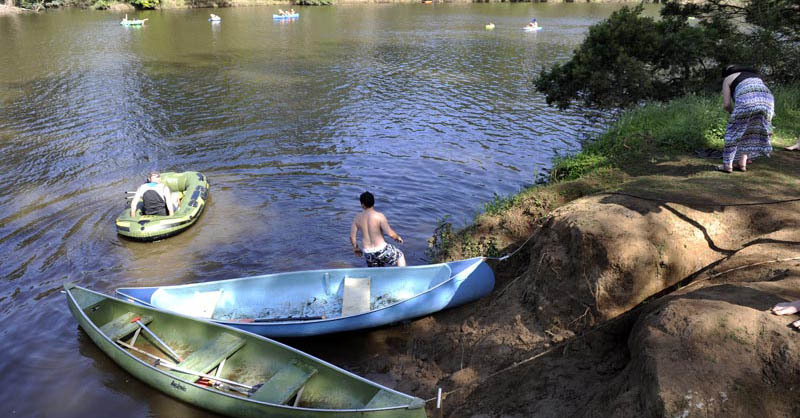 Swim, canoe or fish, or just enjoy the fresh air and bush surroundings. Facilities include drinking water and toilets. Tallowa Dam is a 30 kilometre drive west from Bendeela Recreation Area and more fishing is available at Fitzroy Falls Reservoir fishing area, a 20 kilometre drive north. Head further south and explore the lush escarpment country of the Southern Highlands between Robertson and Nowra, including spectacular Fitzroy Falls Visitor Centre and Morton National Park. Bendeela Recreation Area was established around the same time as nearby Tallowa Dam, as a site for camping and recreation. It lies on the northern shore of the Kangaroo River arm of Lake Yarrunga, formed by Tallowa Dam. 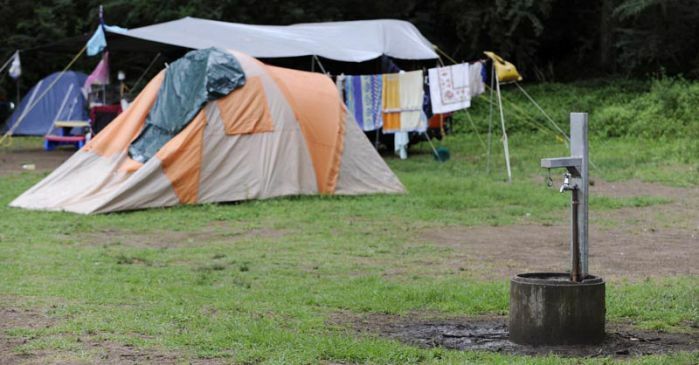 Picnic and camping sites are available on a 'first-in, first-served' basis, and cannot be reserved. The front camping area is open 24 hours a day, all year round, for vehicle based camping. Visitors can also walk in and picnic and camp in the rear camping area at all times. The rear camping area is closed to vehicles by a locked gate during non-peak periods, and opened to vehicles during busy holiday periods. 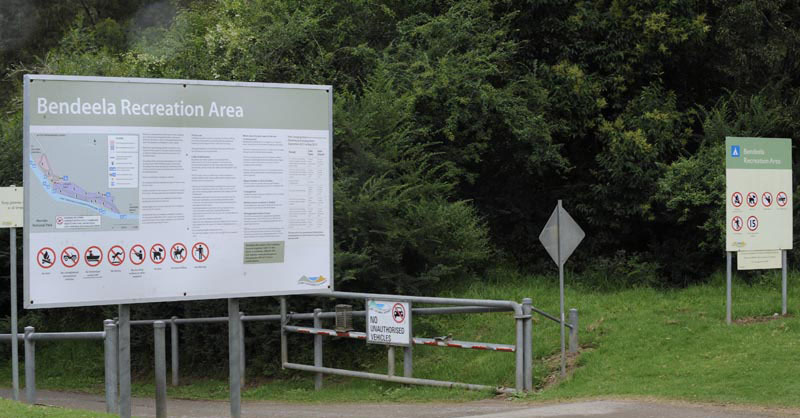 Bendeela Recreation Area is managed as two separate areas, depending on the number of vehicles and visitors. See opening and closing times. Some of the wombats in Bendeela are currently sick and dying from sarcoptic mange. If you do see a sick wombat, do not touch it or go near it. This condition is contagious to humans. Read more on wombats at Bendeela. 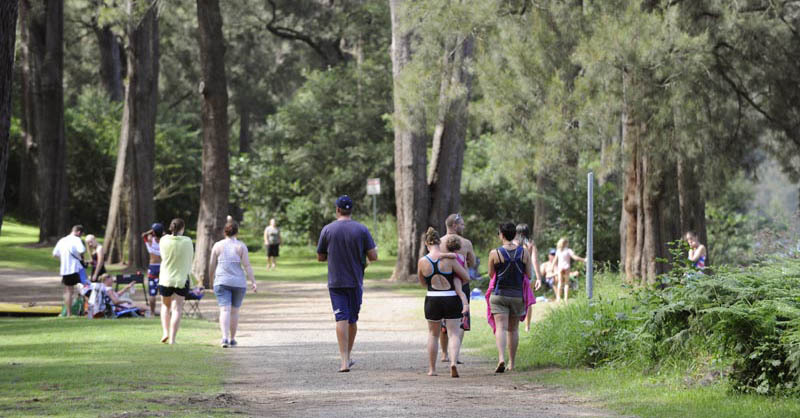 WaterNSW has been developing a Masterplan for Bendeela Recreation Area in consultation with the community. 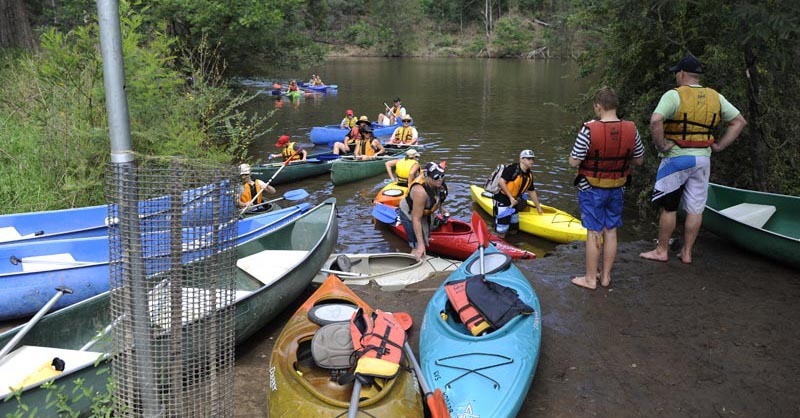 There are two canoe launching areas along the Kangaroo River at Bendeela Recreation Area. Canoeing is popular on the wide section of the Kangaroo River at Bendeela Recreation Area. 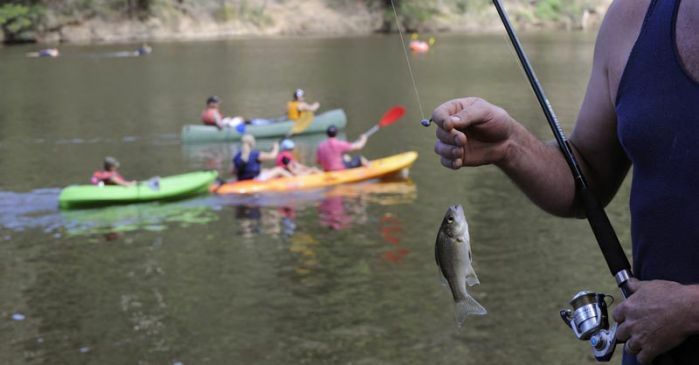 Fishing and canoeing are popular activities at Bendeela Recreation Area. Bendeela Recreation Area is a popular weekend and school holiday destination. The riverbank in the rear camping area is for day use only (no camping), so there is plenty of space to relax and enjoy the peaceful surroundings. 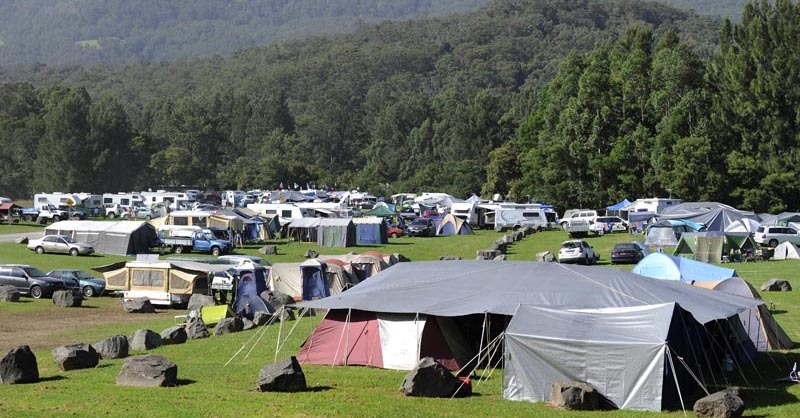 Bendeela Recreation Area's camping grounds are very popular at Christmas and Easter and during the school holidays. Picnic and camping sites at Bendeela Recreation Area are available on a 'first in, first served' basis, and cannot be reserved. 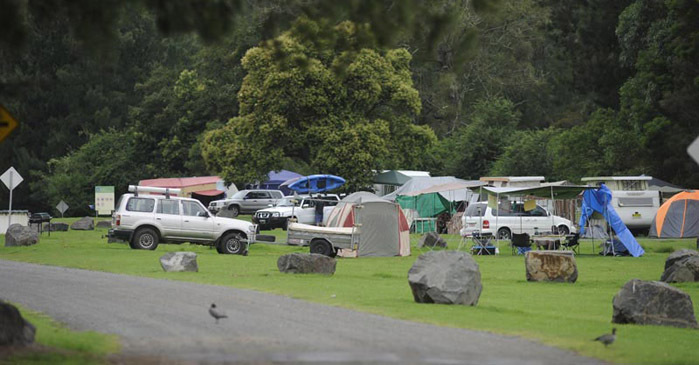 Bendeela Recreation Area is a rustic camping ground with toilets but no power to campsites. 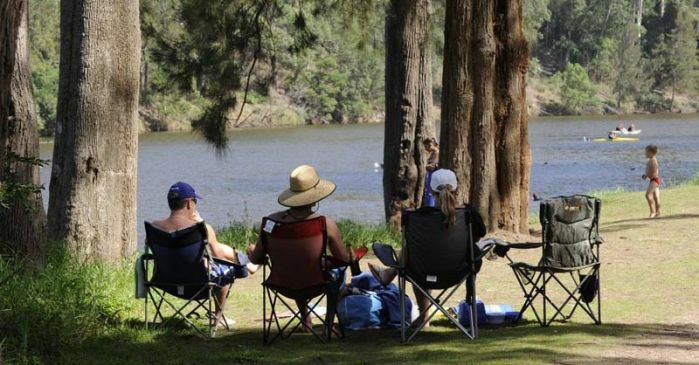 Basic campsites and drinking water are available at Bendeela Recreation Area. With its lush grounds and backdrop of rugged hills and forest, Bendeela Recreation Area is the perfect spot to get back to nature. 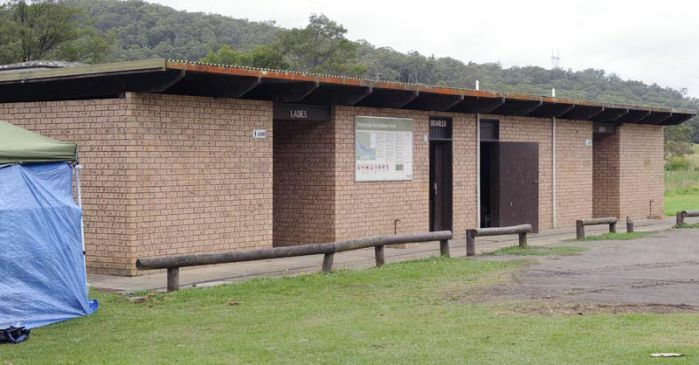 Basic toilet facilities are available at Bendeela Recreation Area.